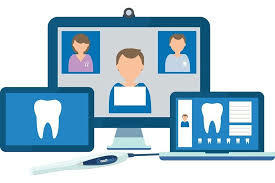 Telemedicine is a relatively new concept that allows healthcare providers to treat patients via the Internet through varying technology platforms, such as FaceTime or Skype. While the practice initially started as a means for healthcare providers to treat patients in rural or remote areas who were far away from local health facilities or in areas where medical professionals were in low number, the practice has vastly expanded. Now, it is an increasingly convenient tool for healthcare providers to administrate practical medical care, including mental health care. It should come as little surprise that teledentistry would soon follow. On December 19, 2018, former Governor Kasich signed Senate Bill 259 into law, which addresses access to teledentistry in Ohio. Allowing dentists to prescribe non-controlled substances, including antibiotics via teledentistry. The Ohio Dental Association (“ODA”) released their Policy Statement on Teledentistry, which provides further clarification on the teledentistry law. Generally, treatment provided via teledentistry must be properly documented and should include providing the patient a summary of services. As such, dentists must establish protocols for appropriate referral when necessary. 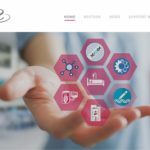 That the delivery of services will be performed in accordance with applicable laws and regulations addressing the privacy and security of their private health information. A dentist who wants to provide dental services through teledentistry must apply to the state dental board for a teledentistry permit, pay the application fee of $20, and otherwise be eligible for permit under Ohio Revised Code 4715.436. The Ohio Medical Board (the “Board”) must issue the permit if the dentist is in good standing and satisfies all pre-requisite requirements. A teledentistry permit expires on December 31 in the first odd-numbered year after issuance. The Board must renew the permit if the dentist submits a complete application, pays the $20 renewal fee, and verifies the locations where teledentistry services have been provided since the permit was most recently issued or renewed. In terms of technical considerations, dentists are encouraged to consider conformance with applicable data exchange standards to facilitate delivery of services via teledentistry modalities, such as Digital Imaging and Communications in Medicine (DICOM) when selecting and using imaging systems; X12/HL7 for the exchange of information; and JCD-9/10- CM/SNOMED/SNODENT for documentation consistency. While the expansion into teledentistry expands how and where dentistry can be performed, it does not change the fact that standard terms and conditions apply, essentially. This means that, in terms of documentation and security, there are no shortcuts. Teledentistry requires the same level of documentation and security as in-person care, and more. Dentists seeking their permit should ensure they have proper documentation and security protocols in place to ensure they meet compliance standards.